Linnea Skog won Best Actress Jussi Award! 13-year-old newcomer Linnea Skog won her first Jussi Award last Friday in Helsinki at Jussi Gala. 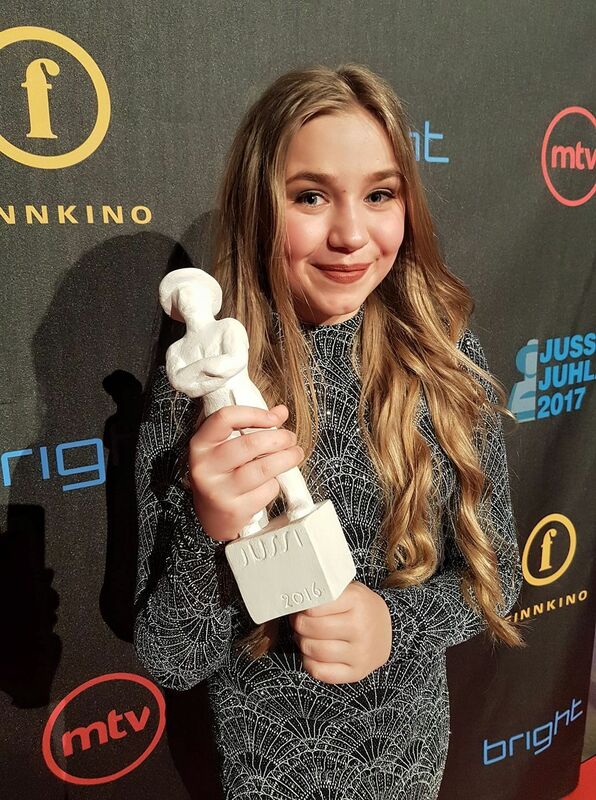 Linnea got the award from her role as “Varpu” in the Making Movies production “Little Wing”, directed and written by Oscar-nominee Selma Vilhunen. Little Wing tells the story of 12-year-old Varpu, who’s quickly growing to adulthood, and about her mother (Paula Vesala), who doesn’t want to grow up. The film has participated film festivals world wide such as Toronto Int. Film Festival, Palm Springs Int. Film Festival, Göteborg Int. Film Festival, Les Arcs European Film Festival and Alice Nella Citta Film Festival.